Every agronomist has been ingrained with the Nowledge that soybean is considered a “short-day” plant and will not flower until after June 21st a.k.a. the summer solstice. 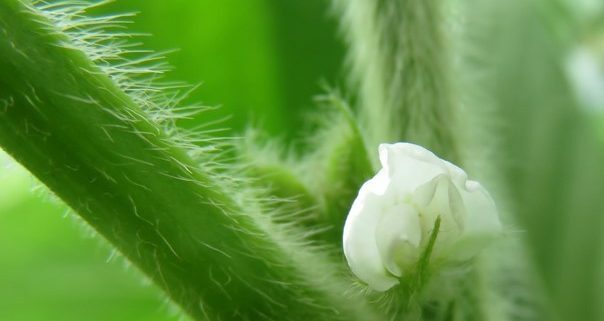 This belief has held true for decades; however, with agronomists now preaching the virtues of early soybean planting, coupled with the power of Twitter, we now see pictures and evidence of soybean flowers occurring as early as June 1. 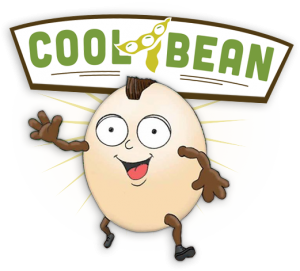 This empirical evidence has prompted many to question the foundational belief. In soybean, floral induction occurs when soybean leaves can measure the night length (from dusk to dawn), and thus begins when unifoliolate leaflets appear at stem node 1 (V0) and a young trifoliolate leaf appears at node 2, with induction continuing thereafter in every subsequent leaf (Wilkerson et al. 1989; Fehr and Caviness, 1977). 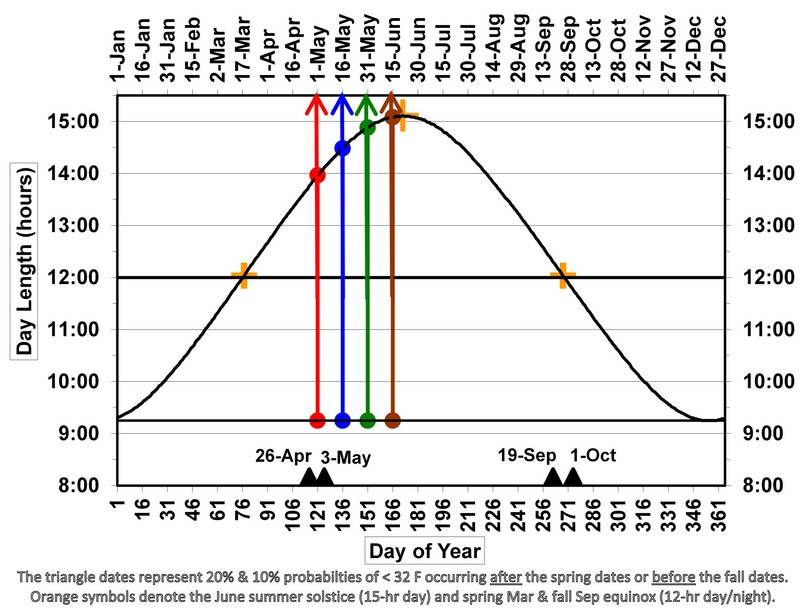 If soybean is planted early enough, flower initiation can then be triggered on the front of the summer solstice (Figure 1). This response is dependent upon the maturity genes present in the adapted cultivars and region of country, however given the germplasm available to farmers in the north central region it is plausible that any soybean planted in this region would flower “early” if planted early. In 2018 we have experienced exceptionally warm temperatures after V1 that have significantly hastened the calendar date of R1, because the temperature sensitivity of floral evocation (development of floral meristems into flowers – the first such visible flower leading to an R1 stage call), though floral induction in itself is not very temperature sensitive. In NE in 2017, the website program SoyWater (SoySim) predicted that an Apr 24 planting date would lead to the R1 stage dates for MGs 1, 2, 3, & 4 to occur on Jun 12, 14, 17, & 19; however, this year (2018), SoyWater (SoySim) is predicting for the same planting date of Apr 24 and near similar MGs, R1 stage dates of June 05, 10, 13, & 16! Those R1 stage predictions were (as Dr. Specht recall) 3-5 days later a couple of weeks ago, so not only a warm spring, but also this exceptional heat wave in the last few days has hastened floral evocation. R1 is likely to be earlier in all NC USA areas that have experienced both early soybean planting and a much warmer than normal spring. Early soybean flowering has many management implications including shorter herbicide label timings for dicamba (up to R2) and glyphosate products (through R2) (FYI it usually only takes 3-5 days to go from R1 to R2) and earlier risk for white mold infection. In 2018 it is paramount that you scout and don’t just rely on the calendar for spray applications! Figure 1. Planting date by day length hours in Lincoln NE. Fehr, W.R., Caviness, C.E., 1977. Stages of soybean development. Cooperative Extension Service, Agriculture and Home Economics Experiment Station, Iowa State University, Ames, Iowa. G, G. Wilkerson,* J. W. Jones, K. J. Boote, and G. S. Buol. 1989. 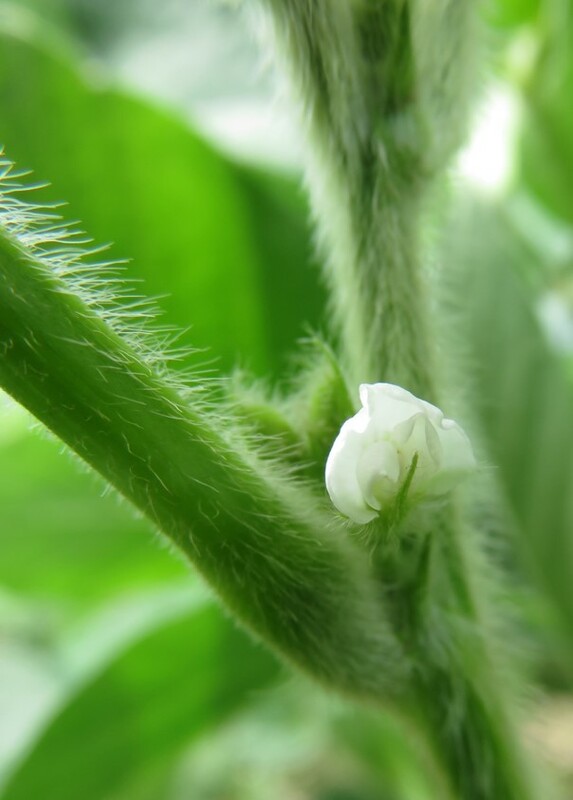 Photoperiodically Sensitive Interval in Time to Flower of Soybean. Crop Sci. 29:721-726. 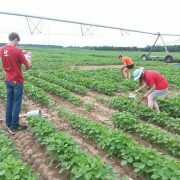 Variable Germination and Emergence in Soybean: Which Seeds Are Still Viabl... Are Your Beans “Feelin the Burn”?